Tan with vignettes of deer in the woods. 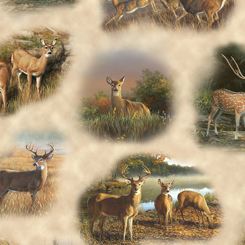 From the Deer Valley collection by the Hautman Brothers for Quilting Treasures fabrics. 100% cotton. 44"-45" wide.